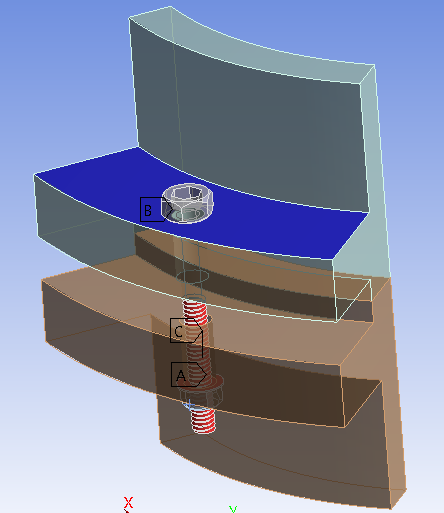 Bolted joints are commonly used to assemble mechanical structures. 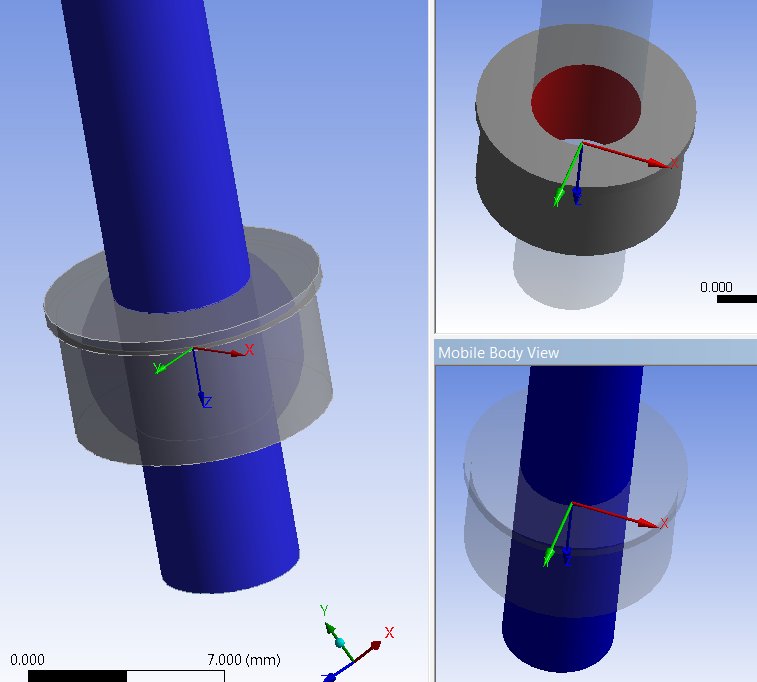 Modelling bolts for three-dimensional finite element applications has always been a tricky proposition because the details of bolt geometric features usually result in large model size and high computational cost. 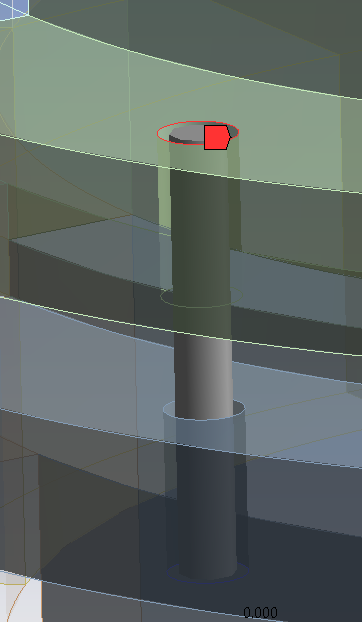 Therefore, efficient methods to model bolts are always desirable. How one prepares the bolt geometry is an essential factor that will influence the subsequent modelling techniques including meshing, contact and analysis settings. 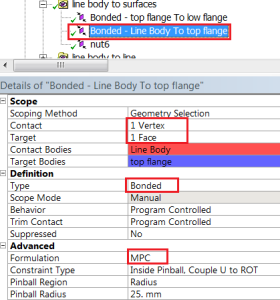 This blog summarises eight methods for modelling bolts in ANSYS 15.0. 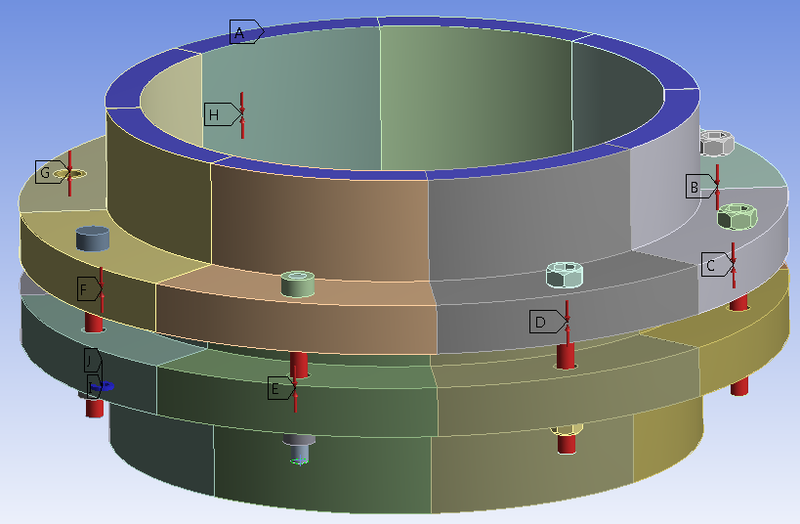 A simple eight-bolt flange model is used for assessing the different methods. Contact between bolt and flange, nut and bolt are defined as any contact type aside from bonded. Threads on bolt and nut are removed, similar to Bolt Model 2. 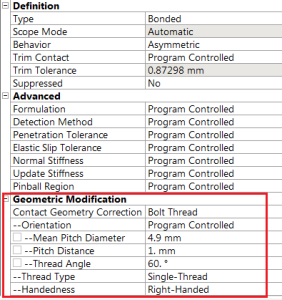 Tetrahedral elements are used, similar to Bolt Model 1; use contact sizing to increase number of elements in thread area. 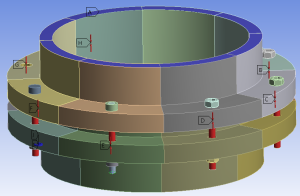 Contact between bolt and flange, nut and bolt are defined as bonded with asymmetric behaviour. 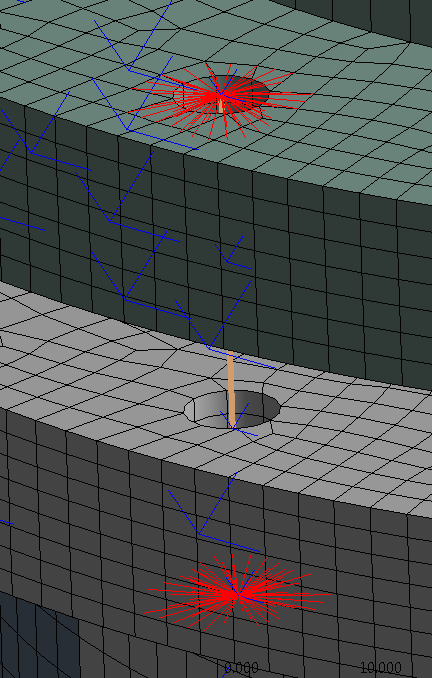 Better mesh controls can be applied to generate hex mesh. 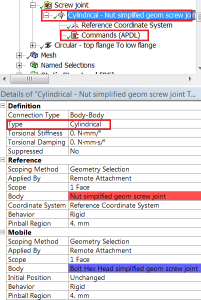 New bolt thread contact technique in ANSYS 15.0 is applied to model the contact between bolt and nut, similar to Bolt Model 3 (recommended 4 elements span 1 thread width). 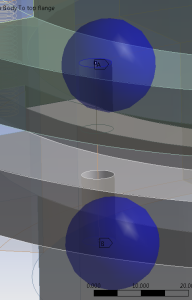 Contact between bolt and flange as bonded with asymmetric behaviour. 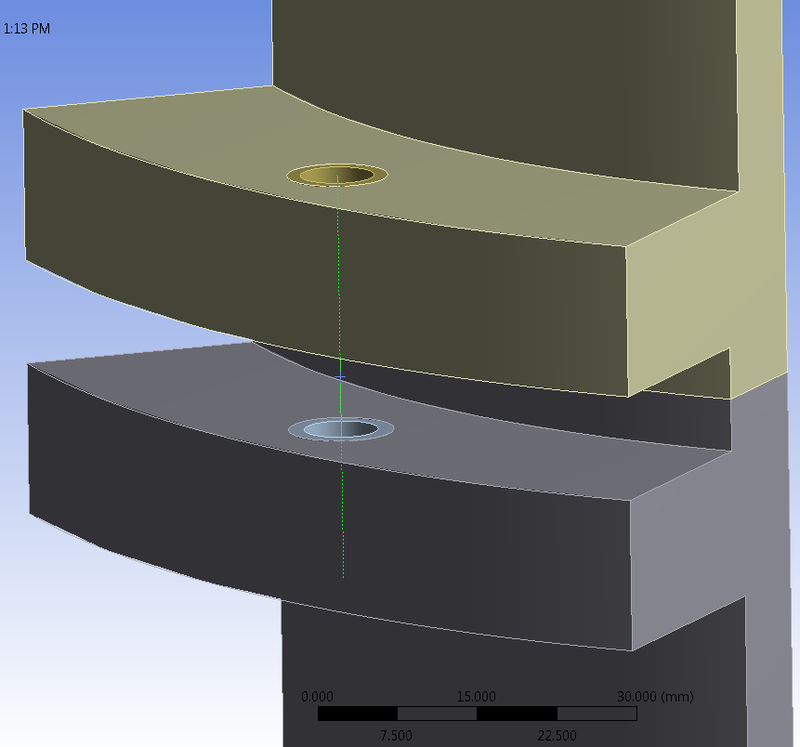 However, the details of the stress of the bolt joint would not be available. Bolt joint is simplified and modelled as line body, similar to Bolt Model 6. 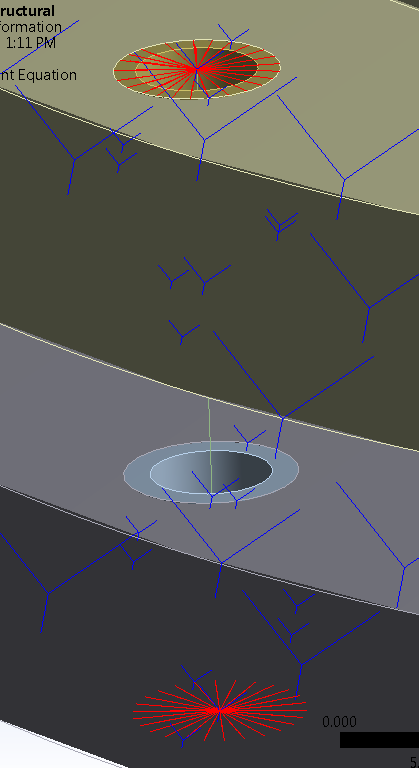 No cylindrical faces are imported on the flanges. The details of the stress of the bolt joint might not be avaiable, similar to Bolt Model 6. 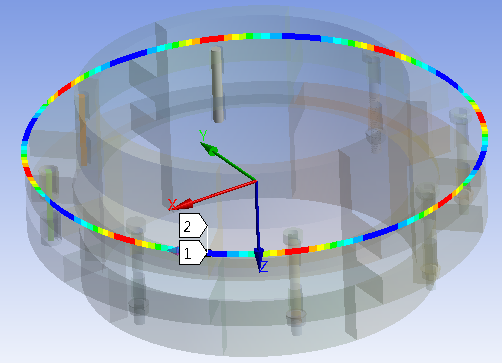 This method cannot use bolt-pretension load directly. APDL command needs to be inserted to define the initial stress/strain induced by the bolt force. 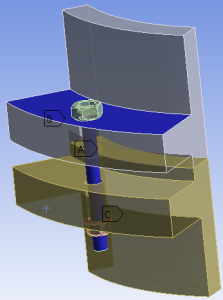 Two load steps are required: first load step is to apply the pretension load, second is to lock the load. 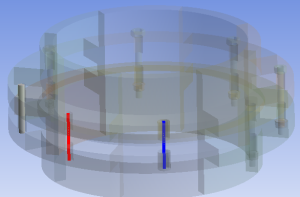 The deflection of the top flange is consistent irrespective of how bolt has been modelled. 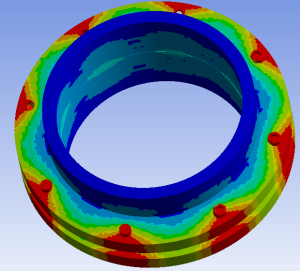 The first five bolt models (solid geometry) has predicted similar stress along the bolt shank, around 25MPa. 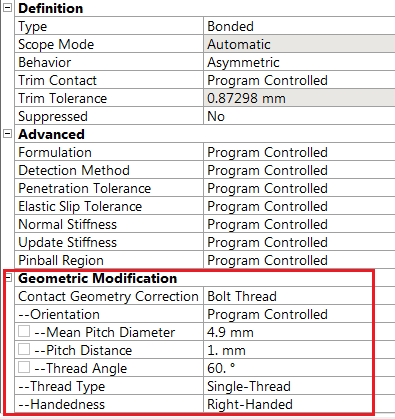 The stress level from hand calculation is 25.6MPa (500N/19.537mm2), less than 3% difference. 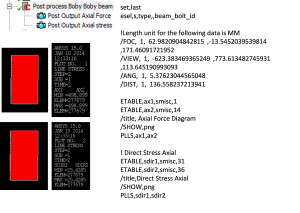 For the beam connector, using APDL commands to post process the stress result. 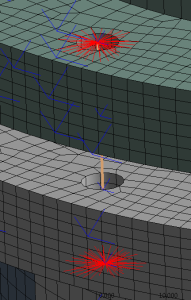 The magnitude is about 25.4MPa. 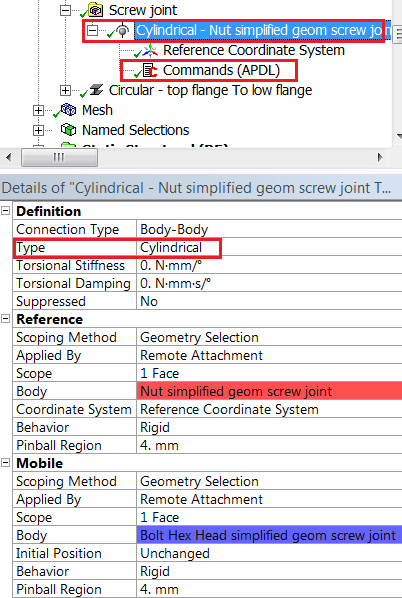 In conclusion, users should think carefully before taking the decision on which method should be employed to model the bolt joints. 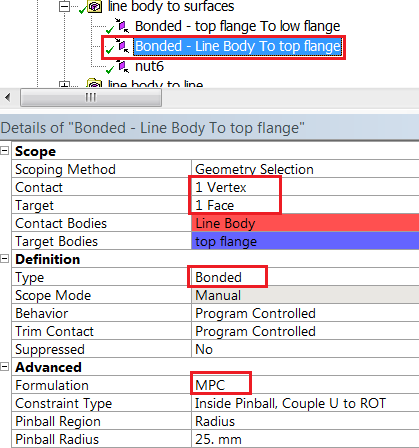 In general, if the behaviour of the whole assembly is of interest, not details of stresses level in the bolt joints, the line bodies/beam connectors would be a better option as this can significantly reduce your model size. 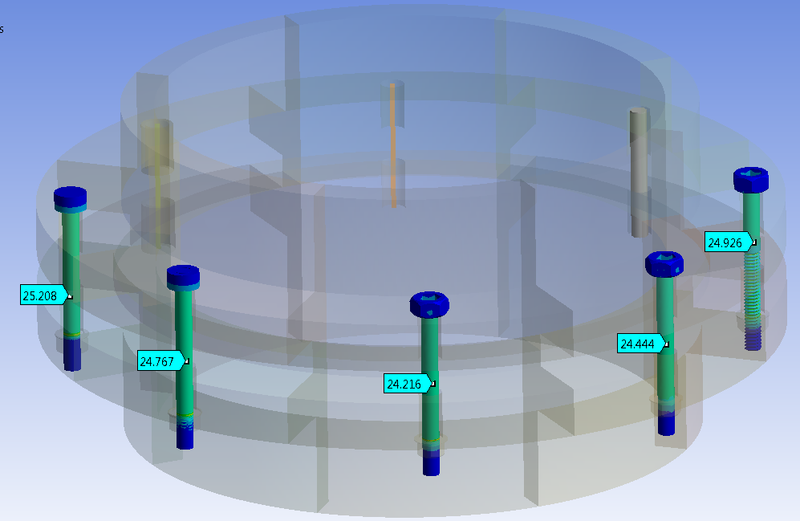 If you need to understand the contact status between the bolt and flange and stresses, solid modelling is recommended, however some additional geometry preparation and mesh control are required. The bolt thread contact technique in ANSYS 15.0 would be highly recommended to minimise the model size and computational time. 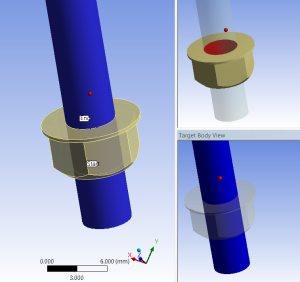 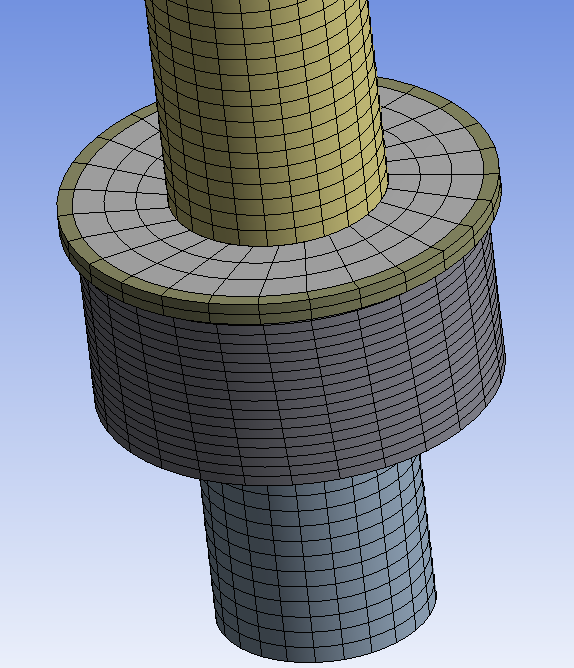 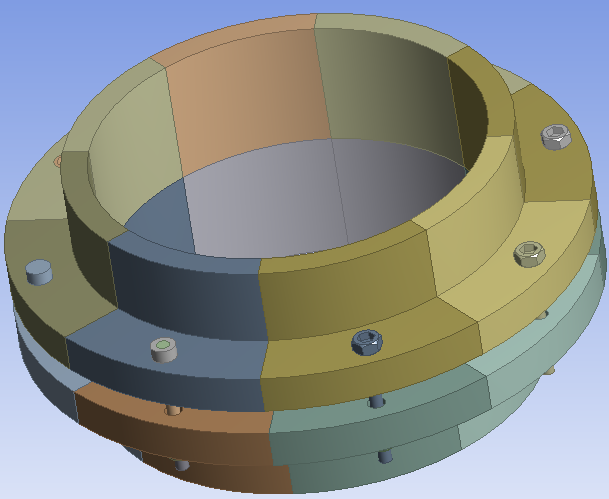 There will be another following blog introducing more details of the bolt thread contact technique in ANSYS 15.0.